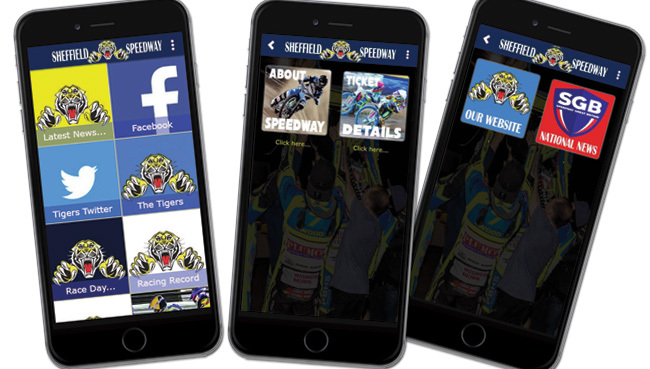 Sheffield Tigers Speedway Official Website: FANS TURN OUT IN FORCE! FANS TURN OUT IN FORCE! SHEFFIELD Speedway welcomed a new era of Sunday racing with a bumper crowd at their 90th anniversary meeting. And it was one of the sport’s nice guys, French World Pairs racer David Bellego, who stole the show with a late charge to take the top step on the podium. 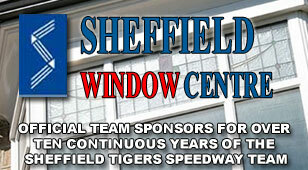 Tigers, backed by Sheffield Window Centre, have switched from their traditional Thursday racenight to a weekend in a bid to encourage more youngsters to enjoy the thrilling spectacle of the sport. Bellego, who rides for Premiership Ipswich, needed a last chance race-off win over Ryan Douglas, Sheffield’s Ty Proctor and Great Britain international Stevie Worrall to make the final. He made the start and pulled clear of his rivals with Leicester’s Ryan Douglas runner-up and Sheffield’s new signing Danny King third. 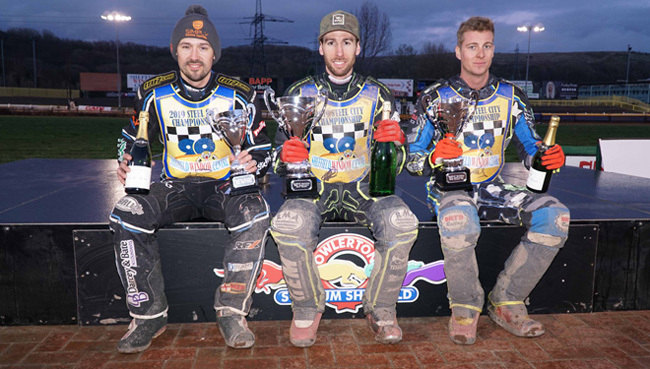 King, a high profile winter signing at Owlerton, said: “It would have been nice to have won on the opening day, it was a challenge and I’m disappointed. Tigers newcomer Zaine Kennedy impressed with eight on his debut professional appearance at Owlerton. Broc Nicol notched a steady seven, Kyle Howarth was a point behind, Kasper Andersen scored five and teenager Drew Kemp scored one on a tough afternoon. SCORES: Rory Schlein 12, Danny King 11, David Bellego 10, Ryan Douglas 10, Ty Proctor 10, Steve Worrall 10, Zaine Kennedy 8, Lewis Kerr 8, Erik Riss 7, Broc Nicol 7, Kyle Howarth 6, Todd Kurtz 6, Kasper Andersen 5, Simon Lambert 5, Josh Auty 4, Drew Kemp 1. SEMI-FINAL: Bellego, Douglas, Proctor, Worrall. FINAL: Bellego, Douglas, King, Schlein.